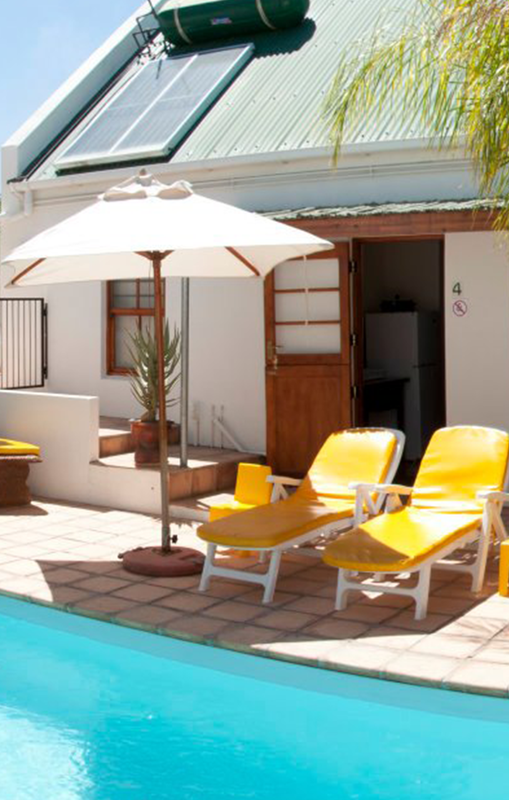 Aant Dorpseind B&B / self catering is ideal as a stay over choice when travelling the N7 north (en-route to Namibia) or the R27 towards Calvinia/Upington/Johannesburg. Aan’t Dorpseind, about 3 hours’ drive from Cape Town, is in the old part of Vanrhynsdorp, within walking distance of the world-renowned quiver tree and succulent nursery. Despite the old world feel all four studio cottages are up-market, spacious and fully equipped for self catering. We offer breakfast on request and have facilities for the disabled traveller. From R400 p.p.p.n. / R325 p.p.s.